Alberta. 2003. It was the summer of two competing phenomena: the mad cow crisis and the bumper sticker. Americans may have stopped Canadian Beef from flowing over the border but Albertans fought back with the “I Love Alberta Beef” bumper sticker. It seemed as though every driver in the province had slapped a bumper sticker to the tail end of their Chevy, Ford or Dodge. Their message was simple: Eat more beef. And Love it. I was a roughneck, Rob and Fiddy were treeplanters. The transient nature of our employment made this the single weekend of the summer that we crossed paths. 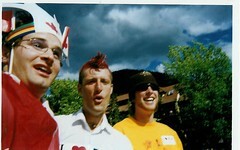 Being Canada Day, we decided that we would let our hair down even further than we normally would. We decided this weekend was going to be the weekend of the year. After all, it was Canada Day, anything less would be unpatriotic. A copious amount of beer, we decided, was the best way to accomplish this task. A ten minute drive to the liquor store was all that stood between us and a weekend for the ages. But not today. The normally calm and traffic-free streets of Banff were engulfed in a traffic snarl that would strike fear into even the hardest New York cab driver. The Canada Day parade was about to start. Banff Ave was shut down from end to end, thus rendering the entire street system of town utterly useless to vehicle traffic. Half an hour wasted looking for even the most “ticket likely” parking spot later, we conceded defeat and returned to our starting point. “Yeah, why?” they said in unison. My plan solved every problem we faced. We could get beer, avoid walking, settle the score with the parade and most importantly, fulfill our promise to the rancher. “What are we doing at the start of the parade route with all these stickers?” Rob said. “Watch this.” I replied, extending my arm and raising my thumb in a classic hitchhiker’s pose. “Do you cut that grassy knoll over there?” I said, pointing to our left. “Hey, Fiddy! Isn’t that your grassy knoll?” Rob chimed in. “Your grassy knoll?” she asked, shooting a confused look at Fiddy. If only they fell in love at first “knoll.” They would share a lifetime of blowing people’s minds when they found themselves at cocktail parties being asked: “Well, Nick and I met at work. Where did you two meet? If I had the nerve to hitchhike in a parade, in the back of a “J.F.K-assassination” style convertible, with a guy who had a personal grassy knoll groomer, also present, I needed to take things to the next level. “Snipers! Quick! Front corners! Haven’t you seen the movie ‘In the Line of Fire? You guys need to protect me and Jackie O!” I shouted, butchering real history and film history in one fell swoop. But what did I care? I was in a parade. With stickers. With Jackie O. Fiddy and Rob jumped from the slowly moving vehicle and ran to the headlights. They placed one hand on the car and the other on their ‘earpiece’, checking for intelligence reports of gunmen. From my gunfire-enticing perch in the car, I cheerily handed out bumper stickers to everyone who approached our heavily-guarded ‘float’. We rounded the corner onto the home stretch. Spectators piled high along Banff Ave. The sides of the street were packed ten-deep and people on the tops of buildings shouted with delight. It felt like a ticker tape victory parade. A sudden onslaught of out-thrust hands dwindled our sticker supply down to the very last sticker. Fiddy was on his feet both literally and figuratively. He ran to the centre of the street and hatched a plan on the spot that would decide the lucky recipient of our final sticker. He shouted clearly, hushing the crowd: “Ladies and Gentleman, in my hands I have the final “I Love Alberta Beef” bumper sticker that we will hand out today. I will give this sticker to the first person to come out here and show me a “beef” dance.” With gusto, a middle-aged mom burst from the crowd and landed in the middle of the street. She nailed a perfect rendition of that Russian dance where you cross your arms and kick out your feet. If there was ever the perfect “beef” dance, this was it. Stickerless but still in the spotlight, I stood up on the back seat and addressed the captivated crowd on the left side of the street. I shouted out what any sensible person would do in my situation: “Give me a “B”! Give me an “E”! Give me an “E”! Give me an “F”! What’s that spell?”, cupping my ear to the crowd. What followed was the first time in the history of the world, ever, that two sides of a parade route tried their best to out ‘beef’ chant each other. The crowd had beef fever. We were spreading the disease. “Tuesdays!” replied the right bank. What followed was the first time in the history of the world, ever, that two sides of a parade route tried their damndest to out ‘Monday’/’Tuesday’ chant each other. For the record, Tuesdays won. They always do. That was a fabulous story! How you guys managed a real Ferris Bueller's Day Off is true history. I am sure that some day your publisher will no longer be Kinkos. lol, man that was a great thing!! It literally made me tear up that Canadians can be so supportive of their peers!!! FARMERS FEED CITIES!! I'd love to hear more. You've got the fever. Your stories are awesome !! good luck with the bartering ! I'm sure you will be sitting with a six pack in your own house soon ! you cheered up my afternoons work here in Mallorca, Spain ! 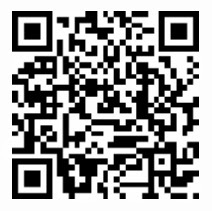 I have sent a link to all my friends !